The first split for this event was handtimed at 6:58. Twilight Shae and Ramble Tamble were slow to begin. Lady Freckles, Scarlet Zulu and My Barcia collided approaching the first turn, checking Lady Freckles. Buddy's Entity, Ramble Tamble and Spector Icon collided on the first turn, checking Spector Icon. Scarlet Zulu and My Barcia collided on the first turn. My Barcia and Lady Freckles collided approaching the home turn. Twilight Shae and My Barcia collided several times in the home straight. Buddy's Entity eased approaching the winning post. My Barcia was vetted following the event. It was reported that the greyhound sustained a left foreleg shin soreness, a 21 day stand down period was imposed. Buddy's Entity was vetted following the event. It was reported that the greyhound a left foreleg shoulder muscle injury, a 14 day stand down period was imposed. 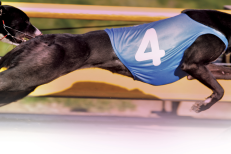 Stewards spoke to Ms Jess Fothergill, the trainer of the greyhound Buddy's Entity, regarding the greyhounds racing manners approaching the winning post. Acting under GAR 69(A)(1) Stewards charged Buddy's Entity with failing to pursue the lure with due commitment. 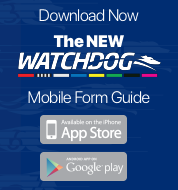 Ms Fothergill pleaded guilty to the charge, Buddy's Entity was found guilty and suspended for 28 days at Bendigo and it was directed that the greyhound perform a Satisfactory Trial (all tracks), pursuant to GAR 69(A)(2)(a) before any future nomination will be accepted.